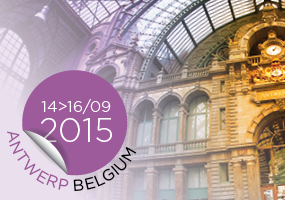 The programme of the Frontiers in Medicinal Chemistry Symposium is now available! 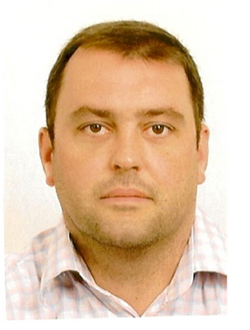 Dr. Patrick Andre is Principal Scientist in the Thrombosis-Cardiometabolic department at Merck Research Laboratories. Prior to joining Merck in April 2013, he was Senior Director Biology at Portola Pharmaceuticals (South San Francisco, CA, USA). Dr. Andre is a former Research Fellow in Pathology at Harvard Medical School. He earned his PhD at the University of Paris VII, Denis Diderot (France). He has authored more than 40 publications and reviews and is co-inventor on more than 10 patents in the field of thrombosis, coagulation and inflammation. Dr Koen Andries (1951) studied Veterinary Sciences and obtained his PhD at the University of Ghent, Belgium. He joined the team of Dr. Paul Janssen in 1982. Using cell-based assays in search of antiviral compounds, his team discovered nanomolar inhibitors of uncoating of rhinoviruses, picomolar inhibitors of fusion of respiratory syncytial virus and several non-nucleoside reverse transcriptase inhibitors of HIV (TIBO’s, alpha-APA’s, and DAPY’s) with high activity against wild-type and resistant HIV-1 strains. Two of these became approved drugs: etravirine - intelence® and rilpivir - edurant®. Dr Andries also led the team that discovered R207910/TMC207 (bedaquiline – sirturo®), a first in-class new anti-tuberculosis drug, and its unique mechanism of action. Bedaquiline is the first molecule with specific activity against the ATP synthase, one of the most fundamental enzymes in biology, and the first antibiotic known to interfere with the generation of energy. He grandfathered bedaquiline from discovery to early development and eventually full development as the microbiology leader, currently studying mechanisms of resistance to the new drug. He authors of 161 papers, 171 abstracts and 32 patents, and is Professor emeritus at the University of Antwerp. 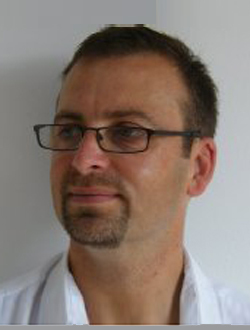 Gavin Bennett is Head of Preclinical Development at Bicycle Therapeutics Ltd, based in Cambridge UK. He is responsible for managing the preclinical development of Bicycle’s novel therapeutic programmes. Gavin has worked across therapeutic areas, including oncology, inflammation and CNS disease, developing small molecules, large molecules (antibodies) and now mid-sized molecules (bicyclic peptides). Prior to Bicycle Therapeutics, Gavin led preclinical and pharmacology programmes for companies such as UCB-Celltech, Cellzome, Rhone-Poulenc Rorer. A Pharmacologist by training, Gavin sits on the Industry Committee for the British Pharmacological Society, and has managed to maintain cordial relations with a number of Medicinal Chemists. 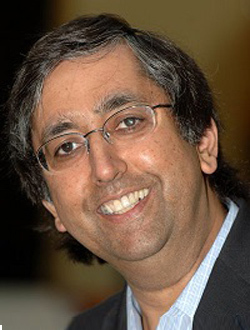 Chas Bountra is Head of the Structural Genomics Consortium (SGC), Professor of Translational Medicine, and an Associate Head of Medical Sciences at the University of Oxford. Prior to coming back to Oxford, Chas was Head of Biology at GSK. He has therapeutic expertise in neuro-psychiatry, gastro-intestinal, inflammation and cancer, and “know- how” of all stages of the drug discovery and development process. He has given over 300 invited lectures. In 2012 he was voted one of the “top innovators in the industry”. His current research is aimed at determining the 3D X ray structures of novel proteins, generating novel small molecule inhibitors, using these to dissect disease networks and hence identifying new targets for drug discovery. Dr. James Corte is currently a Principal Scientist at Bristol-Myers Squibb Pharmaceutical Company. Jim received his B.S. (1992) degree in Chemistry from Eckerd College and his Ph.D. (1999) degree in Organic Chemistry from Stanford University under the direction of Professor Barry M. Trost. 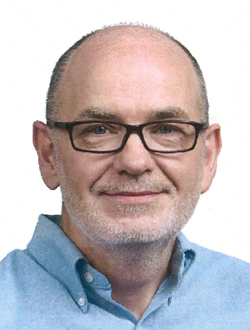 His graduate work focused on the total synthesis of (+)-saponaceolide B. Jim joined the Medicinal Chemistry Department of Bristol-Myers Squibb in 1999. 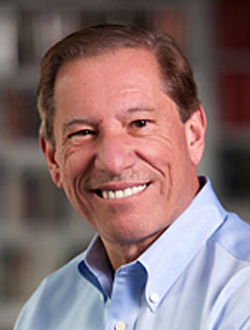 During his career, Jim has worked on many targets in the therapeutic areas of osteoporosis and thrombosis which included estrogen receptor beta modulators, calcium-sensing receptor antagonists, nonsteroidal progesterone receptor agonists, factor Xa inhibitors and factor XIa inhibitors. He has authored and co-authored over 30 scientific publications and patents. 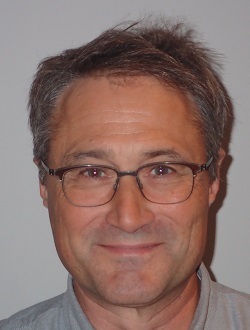 Jeremy Davis is Director of Hit Discovery and Enabling Technologies at UCB with 20 years’ experience as a medicinal chemist in the Biotech/ Pharmaceutical industry. He obtained his PhD from Southampton University researching the application of organozirconium complexes to organic synthesis. 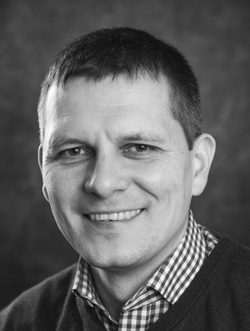 He joined Celltech as a bench chemist in 1993 and has worked on a diverse range of protein targets, but with a strong bias towards structure-based drug design across immunology, inflammation and oncology disease areas. His current role is leading hit discovery at UCB to identify small molecule leads for the Immunology and CNS therapeutic areas. He also is responsible for a technology group focused on developing advanced NMR and Mass Spectrometry applications for protein-ligand complexes. More recently research at UCB has focused on antibody-guided identification of small molecule modulators of protein-protein interactions (Lawson; Nature Rev. Drug Disc., 2012, 11, 519-525). Jeremy is the project lead representing UCB in the European Lead Factory. Prof. Dr. Iwan de Esch did his PhD research at the Department of Pharmacochemistry, VU University Amsterdam, The Netherlands. In 1998, he became research associate at the Drug Design Group of the University of Cambridge. He is a co-founder of De Novo Pharmaceuticals (2000) where he worked as a group and project leader. He returned to academia in 2003 and is now professor at the Medicinal Chemistry Department of VU University Amsterdam. The group focuses on two research lines, namely G-protein-coupled receptors (GPCRs) and Fragment-Based Drug Design (FBDD). 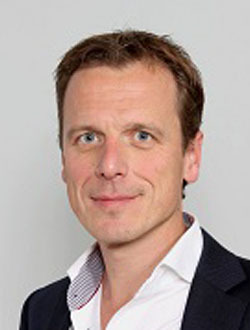 Prof. de Esch is co-founder of IOTA Pharmaceuticals Ltd (2007) and Griffin Discoveries BV (2009). 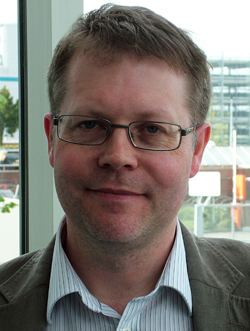 In 2011, he was awarded the Galenus Research Price for his work on FBDD. 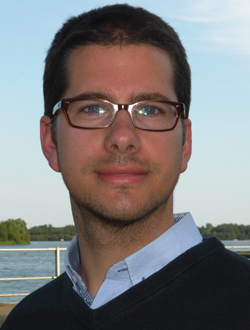 Dr. Chris De Savi joined AstraZeneca in 2001 after completing his post-doctoral work at Cambridge University on the total synthesis of anti-microtubule stabilizing agent Laulimalide. Previous to that he received his PhD from The Australian National University (1999). Chris originally started in the Cancer and Infection Research Area and made significant contributions to the Aurora kinase project leading to the discovery of the Phase IIb clinical candidate AZD1152 (Barasertib). He has led several cross-site programs in the Respiratory and Inflammation Research area leading to various candidate drugs: Collagenase-3 (AZD6605) and Aggrecanase inhibitors for the treatment of OA, inhaled PDE4 inhibitors and CXCR2 antagonists, with the latter program delivering AZD4721, which entered PhI clinical trials in July 2013. Recently he moved back to Oncology and has co-discovered a novel, oral drug, AZD9496 for the treatment of metastatic breast cancer which is currently in Phase I. He is currently Associate Director of Medicinal Chemistry in the Oncology Innovative Medicines Unit at Gatehouse Park, Boston. Olivier Defert is co-founder of Amakem and has been heading R&D chemistry and preclinical development since its inception in 2010. Olivier led the preclinical development of AMA0076, a Rho Kinase currently in clinic and is managing other earlier projects (IBD & respiratory) . Prior to Amakem, Olivier was section leader within the department of Medicinal Chemistry at Devgen NV in Belgium for more than 8 years, with growing responsibilities in combinatorial chemistry, medicinal chemistry and preclinical development of the Devgen’s leads ROCK inhibitor for the treatment of Crohn’s disease and PKC inhibitor for the local treatment of psoriasis. He studied organic and therapeutic chemistry at the Universities of Strasbourg and Lille and got his doctorate in medicinal chemistry from the Faculty of Pharmacy in Lille in 2005 under the direction of Prof Déprez and Prof Gesquière. He is co-inventor of more than 20 patents mostly in the field of small molecules inhibitors of protein kinases. Ron Dror is an Associate Professor of Computer Science and, by courtesy, Molecular and Cellular Physiology at Stanford University. Dr. Dror employs a broad range of computational methods to study the spatial organization and dynamics of biomolecules and cells. Before joining Stanford, Dr. Dror served as second-in-command of D. E. Shaw Research, a hundred-person company, where he focused on high-performance computing and biomolecular simulation (part of a project highlighted by Science as one of the top 10 scientific breakthroughs of 2010). 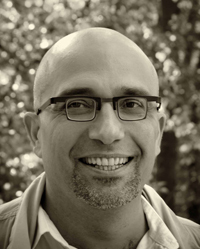 Dr. Dror earned a PhD in Electrical Engineering and Computer Science at MIT and an MPhil in Biological Sciences as a Churchill Scholar at the University of Cambridge. Raquel Fernandez Menendez obtained her Bachelor’s degree in chemistry from the University of Oviedo in 2001. In 2003 she joined the GSK diseases of the developing world unit on a CITIUS fellowship as a member of the Malaria DPU and later in 2004 she joined the Institute of Chemistry Manuel Lora Tamayo, part of the Council for Scientific Research (CSIC), working in the fields of bio- and organic chemistry. In 2005 Raquel returned to Disease of the developing world where she became a member of the TB DPU and since then she has participated in a number of phenotypic and target based projects. 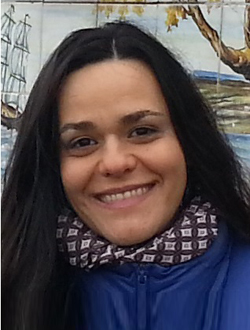 Raquel is currently completing her doctoral studies at the Faculty of Chemistry at the Complutense University of Madrid. 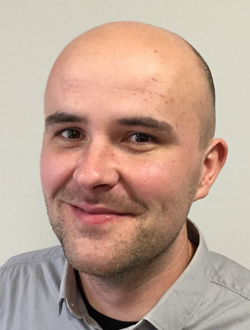 Matthias is heading the department for Molecular Interaction and Biophysics (MIB) at Merck-Serono. Integrated into the “Small Molecule Platform”, the group is responsible for molecular interaction studies and protein crystallographic work, to generate insight into the mode of action by combining various biophysical methods. Fragment based lead discovery, thermodynamic signatures, interaction kinetics and protein structure are the current data packages which support the drug discovery process at Merck-Serono with biophysics. Prior to that position, he was responsible for a protein chemistry group working with different biophysical methods combined with the protein purification and analysis for structural studies and high throughput screening campaigns. Before joining Merck, he was working on protein kinases and their biochemical characterization a post doctoral fellow at the Friedrich Miescher Institute, part of the Novartis Research organisation,. As EMBO fellow he worked on nucleotide exchange factors and adaptor proteins in the p21ras signalling pathway at the CNRS Institute de Pharmacologie Moleculaire et Cellulaire in the technology park of Sophia Antipolis near Nice/ France. He accomplished his doctoral work in the department of Biophysics at the Max Plank Institute in Heidelberg focusing on molecular interaction studies of small p21ras like proteins. 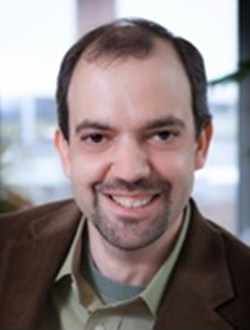 Dr. Jason Gestwicki is an Associate Professor in the Department of Pharmaceutical Chemistry at the University of California at San Francisco (UCSF). His group uses high throughput screening (HTS) and medicinal chemistry to develop inhibitors of the protein-protein interactions between molecular chaperones and their co-chaperones. They use these molecules to better understand how chaperone networks operate in diseases of protein misfolding, such as neurodegenerative disorders. Dr. Gestwicki earned a Ph.D. at University of Wisconsin-Madison and performed postdoctoral work at Stanford University. He has published >100 manuscripts and is an inventor on 18 issued or pending patents. Dr Duncan Hay received his M.Chem. from the University of Edinburgh. In 2003, he joined Discovery Chemistry at Pfizer’s Sandwich laboratories, working on various preclinical projects for antivirals and allergy and respiratory indications. 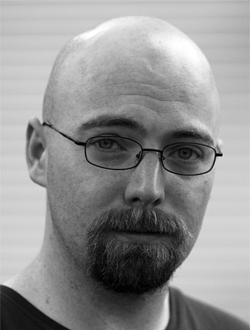 In 2011, Duncan joined the Structural Genomics Consortium at the University of Oxford, U.K., working on developing chemical probes for bromodomain containing proteins. This work formed the basis for a D.Phil. thesis for which he was supervised by Dr Paul Brennan at the Structural Genomics Consortium and Prof. Chris Schofield at the University of Oxford. 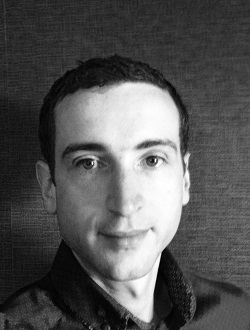 In 2014, Duncan joined Evotec as a medicinal chemist working on preclinical programmes for oncology and respiratory indications. 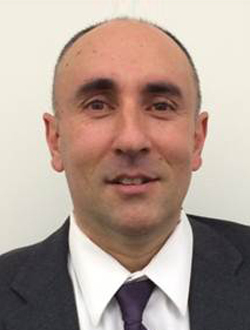 Dr Hamid Hoveyda is currently the Director of Medicinal Chemistry & Development at Euroscreen SA, Gosselies, Belgium, where he has been employed since 2007. Previous to this, his industrial employers included Tranzyme Pharma (Sherbrooke, Canada), and Affymax Research Institute (Santa Clara, CA, USA) – a subsidiary of GSK at the time. He received his academic training in chemistry both in Canada (PhD, UBC) and in the USA (NSERC postdoctoral fellow at Harvard University). I am currently a ‘Senior Principal Scientist’ within Pfizer Medicinal Chemistry, working within the Inflammation and Immunology research unit. I have been with Pfizer for 10 years, initially working at the Sandwich site in the UK, before moving to the Cambridge site in Massachusetts, USA. Prior to joining Pfizer I worked at a small biotech start-up in the San Francisco area, Genesoft Pharmaceuticals. My PhD was carried out at Cambridge University, UK, in the group of Professor Steve Ley, followed by Postdoctoral work at Stanford University, USA, in the group of Professor Paul Wender. Edwin Kroon was born in Joure, The Netherlands in 1986. He obtained his B.Sc. degree in Chemistry from the NHL University of Applied Sciences in June 2009 and he received his M.Sc. degree with emphasis on Organic Chemistry under the guidance of Professor A. Minnaard from the University of Groningen, The Netherlands. Since August 2012 he has been pursuing his Ph.D. in Medicinal Chemistry under the guidance of Prof. Alexander Dömling in the Drug Design Group at the University of Groningen, The Netherlands. Towards 3rd Generation Antihistamines: Fact or Fiction? 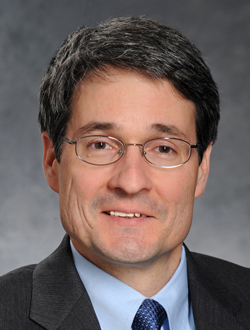 Dr. Liotta is the Samuel Candler Dobbs Professor of Chemistry at Emory University and the Executive Director of the Emory Institute for Drug Development. He did his doctoral studies at the City University of New York and postdoctoral studies at the Ohio State University. Dr. Liotta’s research focuses on the discovery and development of novel antiviral, anticancer and anti-inflammatory therapeutic agents. He is one of the leaders of the Emory team that discovered the antiviral drug, Emtriva (emtricitabine), which was approved for treating HIV in July 2003. Emtriva is a component of the ground breaking, once a day, triple combination therapy, Atripla, which is now universally accepted as the drug combination of choice for treating HIV infected patients. In addition, he is the inventor of record for several clinically important antivirals, including Epivir, Racivir and Elvucitabine. He is also the lead inventor of Q-122, a safe, orally available clinical agent for controlling hot flashes in post-menopausal women. Current position: Research Associate at the Scripps Research Institute in the laboratory of Thomas Kodadek. Research Field: Development of new high-throughput screening methodologies for bioactive compound discovery and optimization. Gerhard Müller received his PhD with Prof. Horst Kessler from the Technical University of Munich in 1993 on bioactive RGD peptides. From 1993 to 1995 he worked at Glaxo’s research site in Verona, Italy, before he joined Bayer AG in Germany. In 2001, he took a Section Head Medicinal Chemistry position at Organon bv, where he was responsible for all Lead Finding activities addressing a variety of disease areas and target classes. In 2003 he became Chief Scientific Officer of Axxima Pharmaceuticals in Munich, Germany, later he held the VP Research position at GPC Biotech AG where he headed a portfolio of lead finding and optimization programs within oncology. Since 2011 Gerhard is in charge of all medicinal chemistry activities at Mercachem bv, Nijmegen, working across numerous therapeutic areas. Gerhard has published and co-authored more than 75 scientific publications and patents. 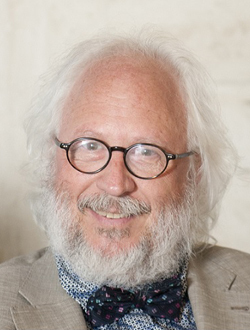 Roberto Pellicciari is Professor of Medicinal Chemistry in the Department of Pharmaceutical Sciences of the University of Perugia (Italy) and President and Scientific Director of TES Pharma (Perugia). 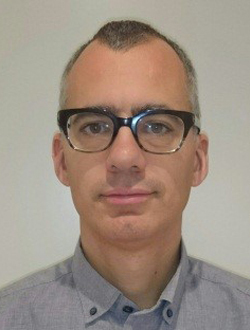 Prior to that he has been pre-and postdoctoral fellow in the Istituto Superiore di Sanità, Rome, Visiting Professor in the Universidad de Carabobo, Valencia, Venezuela, Research Associate in the Department of Chemistry, Bloomington Indiana, and Visiting Professor in the Department of Chemistry, University of California at San Diego (UCSD), La Jolla. Prof.Pellicciari has been Director of the School of Medicinal Chemistry (ESMEC) of the Italian Chemical Society (SCI), President of the Italian Division of Medicinal Chemistry (SCI), President of the European Federation of Medicinal Chemistry (EFMC). 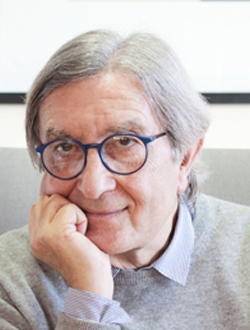 Prof.Pellicciari is author or co-author of over 300 papers and 50 patents, has given seminars in important international congresses and institutions and has been the recipient of several awards. His main research fields have been the development of new synthetic methodologies and their applications to the synthesis of natural products, the design and synthesis of novel agents for CNS and liver and metabolic diseases. 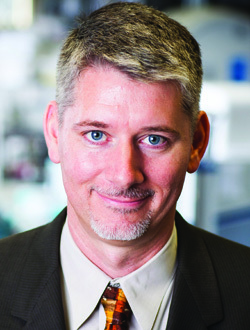 Dr Tony Pinkerton is currently head of medicinal chemistry for the Conrad Prebys Center for Chemical Genomics, which is the early stage drug discovery center at the Sanford-Burnham Medical Research Institute (SBMRI). Tony received his B.S. (1995) degree in Chemistry from UC San Diego, was a Fulbright Scholar at ETH Zurich (1995-1996, with Professor Dieter Seebach) and obtained his Ph.D. (2001) from Stanford University (with Professor Barry M. Trost). Prior to joining SBMRI in 2010, Tony spent 10 years in industry at Merck Research Laboratories, Kalypsys, and Ardea Biosciences working on a wide range of targets and therapeutic areas. 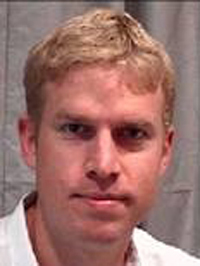 Matt Robers is a Senior Research Scientist and Group Leader at Promega Corporation. Prior to joining Promega, Matt was focused on pathway analysis in the cell-based assay group at Life Technologies. Matt has authored numerous peer-reviewed publications and published patents on the application of novel fluorescent and bioluminescent chemistries to measure intracellular protein dynamics. The focus of Matt’s team at Promega is to apply new technologies to assess target engagement within living cells. Matt’s team has recently developed an energy transfer approach, enabling biophysical measurements of compound affinity and residence time at select intracellular targets within intact cells. 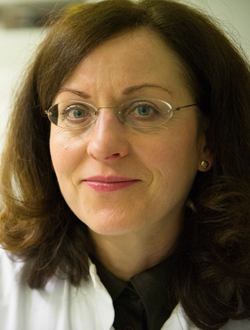 Palma Rocchi received her PhD in 2002 from the Medicine Faculty of Marseille evaluating the molecular mechanisms involved in the castration-resistant prostate cancer (CRPC). In her three years as post-doctoral fellow in the University of British Columbia (Prostate Centre) in Dr Gleave’s Lab. Palma Rocchi completed her formation by receiving advance training in targeting genes associated with CRPC. She developed a drug (OGX-427) using oligonucleotide antisens approach able to down-regulate Hsp27. OGX-427 has been patented and obtained an international license by Oncogenex and clinical trials phase II is now in process in Canada and United States to evaluate the effect of OGX-427 in patients with prostate, bladder, lung and pancreatic cancers (http://www.oncogenex.ca/). 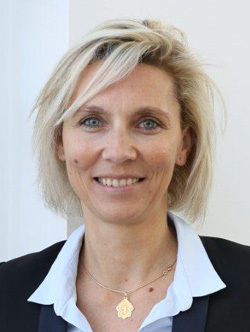 She is now working as an independent senior principal investigator in PC translational research at the French National Institute for Health and Medical Research. Her principal research interest is focused drug discovery for the treatment of CRPC. 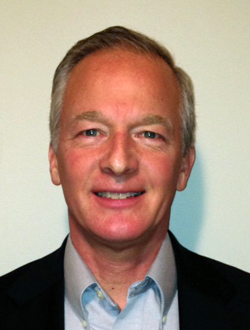 Since 2006, Nick Terrett has been Chief Scientific Officer of Ensemble Therapeutics, a biotech company based in Cambridge, Massachusetts. Ensemble focuses on investigating the generation of libraries of synthetic macrocycles that can be screened against challenging protein-protein interaction disease targets. Recent successes with this technology platform have been the discovery of novel antagonists of the oncology target XIAP, and IL17 for inflammation. After a PhD in chemistry at the University of Cambridge, much of Nick’s career was at Pfizer both in the UK and US where, among other activities, he was lead chemist and inventor for the program that discovered sildenafil (marketed as Viagra™ and Revatio™). Dr. Steven Van der Plas is currently a Team Leader at Galapagos. Steven received his Masters degree (2004) in Chemistry and Ph.D. (2009) in Organic Chemistry from Ghent University under the supervision of Professor Annemieke Madder. During his Ph.D., Steven was looking for artificial estrogen receptors by building short peptide strands on a pre-organized scaffold. After his Ph.D., Steven joined the Medicinal Chemistry Department of Galapagos in 2008. At Galapagos, Steven has worked on different targets in inflammation, oncology, osteoporosis and is currently lead chemist in cystic fibrosis. 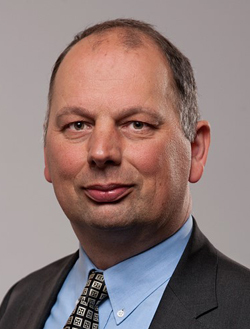 Michiel Van Gool got his chemistry degree at the University of Ghent in 1994, where he started his PhD research on the Total Synthesis of Vitamine D3 analogues, under the supervision of Prof. M. Vandewalle and Prof. P. De Clercq. After obtaining his PhD degree in 1999 he moved to the Autonoma University of Madrid, Spain as a postdoctoral researcher in the supramolecular chemistry group of J. de Mendoza working on chiral bicyclic guanidiniums. Then in 2002 he joined the Neuroscience Medicinal Chemistry team of Janssen in Toledo, Spain. The current focus of this team is the discovery of assets for neurodegenerative diseases. Currently Michiel is Chemistry Team Leader of the mGlu2 NAM project. Peter Vandenabeele is molecular biologist and senior full professor at the Faculty of Sciences of the Ghent University, Belgium, and senior PI at the Inflammation Research Center (www.irc.ugent.be), a department of the VIB (Flanders Institute for Biotechnology) (www.vib.be). His research activities focus on molecular mechanisms of cell death modalities (a.o. apoptosis, necroptosis, ferroptosis) and the role herein of caspases and RIPK, and their substrates. This cell death process is investigated in an integrated way combining biochemistry, cell biology and inflammatory diseases models (intestine, skin, cancer) aiming at identifying molecular targets for experimental therapy. He contributed to more than 310 research articles and reviews, 23 book chapters and two edited books, which have been cited over 26000 times (WoS). He received the prestigious 5 yearly FWO Excellence Prize for Fundamental Biomedical Research (2015). 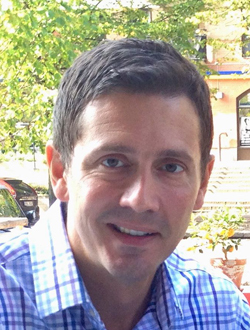 Dr. Michael Vazquez is currently an Associate Research Fellow at Pfizer. He obtained his B.S. Degree at Northern Illinois University and his PhD at Northwestern working under the direction of Professor Richard Silverman. Michael began his career working in CNS and after several years switched to anti-infectives. Efforts in this area lead to the discovery of the sulfonamide class of HIV-protease inhibitors, several of which have been developed into commercial products. For the last 10 years, Michael has worked in Inflammation and Immunology on mPGES-1 and CX3CR1, as well as numerous kinase targets including p38, MK-2, IKK-2 and JAK. This has led to the development of a selective JAK1 inhibitor currently in Phase 2 clinical trials. He has authored and co-authored over 19 scientific publications and more than 100 patents. Weiwen Ying, Ph.D. is the Vice President of Discovery Chemistry at Synta Pharmaceuticals. Dr. Ying joined Shionogi BioResearch Corporation in September 2000, which became part of Synta Pharmaceuticals Corp in September 2002. He initiated and championed the discovery and development of ganetespib, an Hsp90 inhibitor which is currently in Phase III clinical trial treating lung cancer patients, and is a co-inventor of the Hsp90 inhibitor drug conjugate (HDC) technology and leading the discovery efforts in the HDC program. 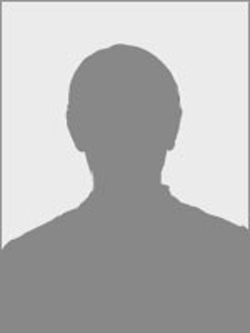 Dr. Ying has published >20 peer-review journal articles and also has >70 issued or pending patents. 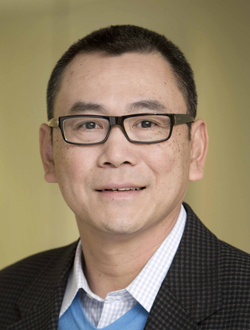 Prior to joining Synta in 2000, Dr. Ying was a postdoctoral fellow at SUNY Stony Brook and Yale University. He obtained Ph.D. in Organic Chemistry from Clemson University and M.S. from Shanghai Institute of Organic Chemistry, Chinese Academy of Science.